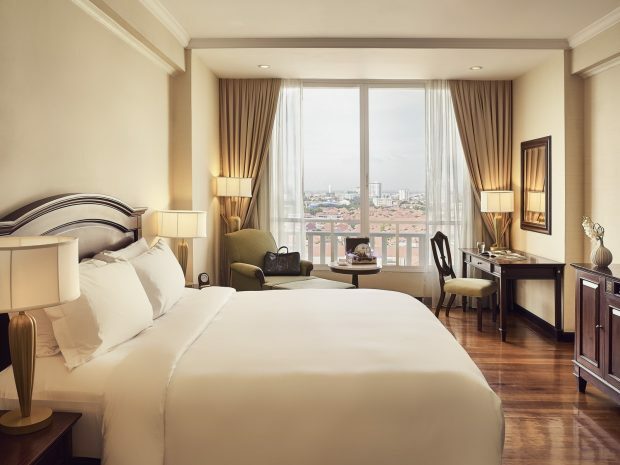 Find tranquillity in Sofitel Phnom Penh Phokeethra’s generous 40sqm room decorated with timeless colonial style and splendour. 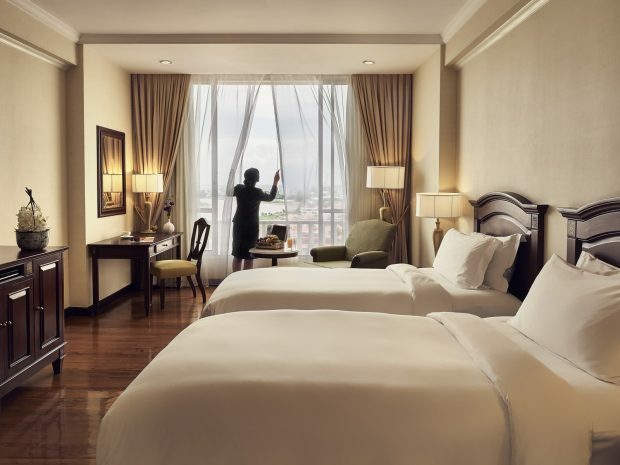 We have spared no detail with your comfort in mind, offering luxurious amenities, stunning views and additional Club Milliséme benefits including daily refreshments, and access to special lounges on top of access to the hotel’s many facilities. 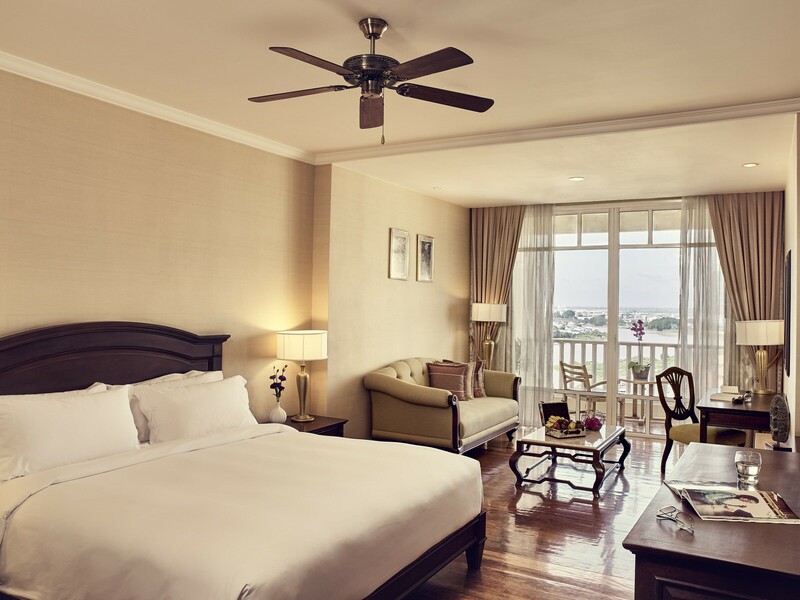 Our Superior Club Rooms are located on the highest floors of the hotel with gorgeous views of the Mekong River, and surrounding tropical landscapes. 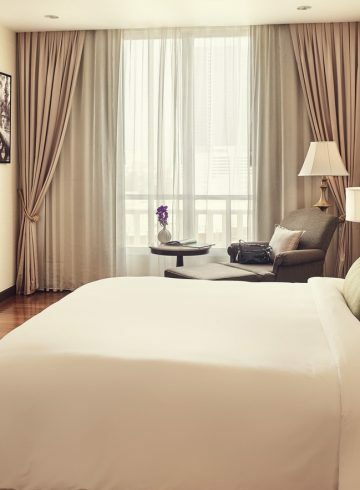 A restful night’s sleep is more than assured with our custom created Sofitel MyBeds, available in king or twin bed options as per your choosing, and our rooms are also fitted with silent air-conditioning units for utmost comfort. For lounging throughout the day, each room is equipped with a ceiling fan that imitates an afternoon breeze which is perfect for unwinding. Revel in an array of luxury amenities including complimentary Wi-Fi, as well as the 42-inch flat-screen LCD TV also fitted with a DVD player for your entertainment. The wall mounted screen offers full audio and video HD connectivity for your ultimate viewing and listening pleasure. The intricately designed writing desk is the perfect spot to pen postcards to home, or write about unrivalled experiences abroad. Enjoy these luxuries as you sip on delicious refreshments from the fully stocked minibar. 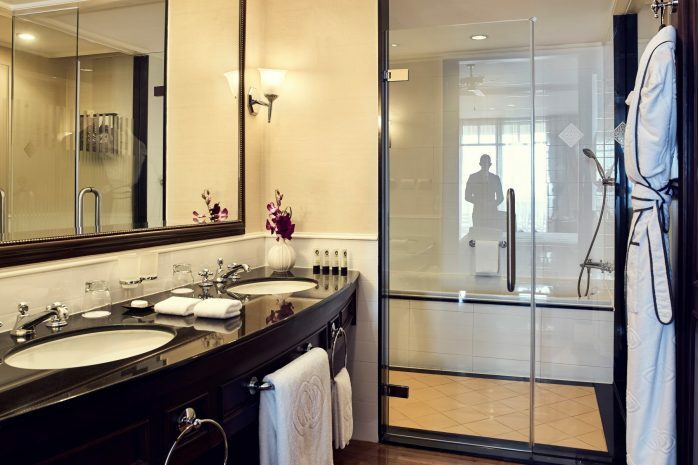 The spacious bathroom features a separate shower and bathtub, the perfect spot for rest after a day exploring the hotel grounds and exotic local sights. We are gifting you only the best in bath and beauty, with an array of complimentary products from celebrated French lifestyle brand Lanvin.